The Digital Skills Partnership (DSP) is setting up national Delivery Groups to give people and organisations the skills they increasingly need to thrive in the digital world. This is the first in a series of blog posts from co-chairs of those Delivery Groups on their aims and how people and organisations can get involved. 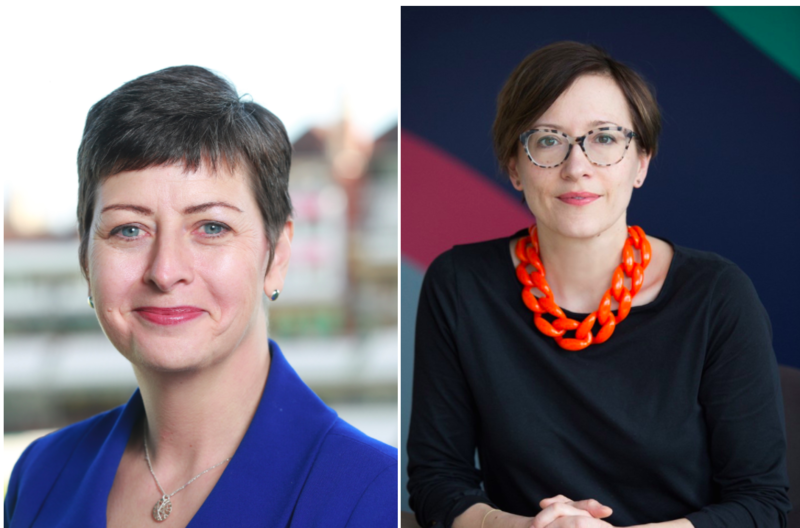 Here, Liz Williams, Director of Tech Literacy and Education at BT, and Eleanor Bradley, Chief Operating Officer at Nominet, talk about the Delivery Group that will focus on increasing national coherence of digital skills provision. It can be difficult for prospective learners to be sure which digital skills training most suits their needs. For training providers, members of the Digital Skills Partnership (DSP) included, it is also difficult to know where their courses and initiatives would be most effectively deployed, where shortages in skills exist or which new programmes are needed to plug specific gaps. In other words, the digital skills landscape is somewhat fragmented. This is a situation that the DSP seeks to improve. The Organisation for Economic Cooperation and Development (OECD) estimates that five new jobs will be created for every role displaced by technological change. As automation transforms the workforce, new and existing roles will increasingly require digital skills, so it is becoming more and more important for everyone in the workforce to enhance and improve their capabilities so that they can fully participate in the digital economy. But if you do want to do so, where do you begin? There are lot of excellent courses out there – many of them free – but how do you choose which course or programme will give you the skills you need to transition to a different role or to make the most of the opportunities that digital technology offers? A clearer picture of good-quality digital skills training will make it easier for individuals and organisations to make informed choices and take effective routes to increasing digital skills at all levels of capability. It must also enable better collaboration and coordination, so that organisations across all sectors can work together to provide the digital skills training programmes that are needed to plug a wide range of current and future digital skills gaps. This work will be taken forward by a Delivery Group comprised of representatives of the public, private and charity sectors. It will meet regularly, and together with DCMS, set strategic milestones and decide on deliverables. We’re delighted to say that we will co-chair this Delivery Group and will be holding our first meeting in early February, where we will begin engaging with stakeholders to take forward this work. Our aim is to work with training providers and learners to develop training pathways that lead to positive social and economic outcomes for individuals and organisations. We want to make it easier for people to make use of technology to achieve their goals, whether that be to improve their health, build a career or increase social and financial inclusion. We also want to facilitate the sharing of best practice among training providers, to help effective programmes scale, and encourage innovation in training that engages with a diverse audience. What do we want the ‘National Coherence’ DSP Delivery Group to do? People and organisations can better identify and access good quality ​(basic/general/specialist) digital skills​ ​training​ ​opportunities​? Providers can more easily collaborate to upscale and innovate and identify gaps​ ​rather​ ​than​ ​duplicating​ ​their​ ​efforts? Predictions can be made about the digital skills that will be needed in new or emerging labour markets so that we can proactively train people to fill future​ ​roles? The Delivery Group will require genuine commitment from members. They will be expected to take forward specific work strands between meetings. We also expect members to bring experience, ideas and resources with them. If you and/or your organisation are interested in joining this Delivery Group, or would like to support the DSP more broadly, please complete this short form.